In the 1980s, Yamaha’s DX7 keyboard popularised a glossier, cleaner approach to sound generation than that of analogue synthesisers: frequency modulation (FM) synthesis. Almost the antithesis to beginner-level subtractive, FM (frequency modulation) synthesis involves the modulation of an audible ‘carrier’ oscillator by an inaudible ‘modulator’ waveform’. This introduces ‘sideband’ harmonics into the original signal, creating an entirely new, more complex wave shape. 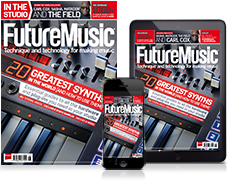 You can read more about FM synthesis in the July edition of Future Music. Still one of the most powerful soft synths around. Its Mod Matrix, Arpeggiator and MSEGs bring the sound design potential, and the synth can even be loaded as an effect plugin. This emulation of Yamaha’s DX7 takes everything about the much-loved 80s synth and expands upon it with a beefed-up mod matrix, step sequencer and more. This type of synthesis is never easy, but Ableton have managed to make an instrument with an intuitive layout and workflow that’s the perfect entry point for newbies and experts alike. Known as possibly the best free FM synth out there, Dexed is another plugin instrument inspired by the DX7 - and it can also act as a patch manager/librarian for that and other FM synths. Urs Heckmann’s monster synth has a modular architecture, meaning you can freely patch audio and control signals in whatever way your impulses take you. With only one carrier and one modulator, Logic Pro’s built-in mini FM soft synth could be one of the most basic around - but it’s still capable of deep bass, bell tones and more.